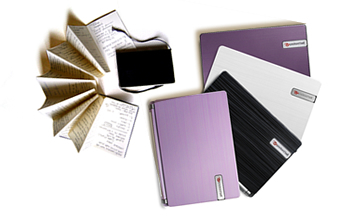 Netbooks are specially created for people who like to socialize and stay organized on the go. When a smartphone is too small, and a regular notebook is too big, a netbook is perfect! 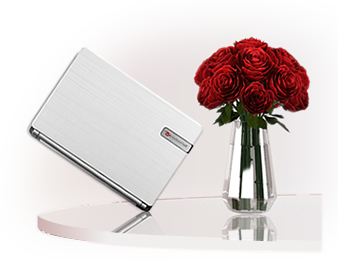 It sits discreetly on a café table while you keep in touch with your online friends, and slips easily into your bag. Like the legendary Moleskine® notebook used by Ernest Hemingway, our Packard Bell dot netbook is your best friend, making life easy via a large ergonomic keyboard, high-resolution screen, easy backup with just a press of a key, speedy performance, and 8-hour battery life. Ultra-light and compact, the dot s is easy to carry. It's as small as a magazine, so it fits easily in any purse, bag or hand luggage. And, it comes in a range of cool colours, including River Black, Galaxy White, Mystery Purple and others. A selection of unique patterns is also available so you can choose the look and feel that suits your personal style best. Anytime-anywhere online tasks like web surfing, email, chats and checking out videos are smooth and fast thanks to the robust yet energy-saving processor -- and you can enjoy it all for up to 8 hours per charge. Loaded with Internet-centric software for communication, entertainment and more, the dot s serves today's mobile lifestyles perfectly. Fun and extremely functional on the go, the dot s sports a multi-gesture touchpad that enables easy mouseless navigation. You can surf, scroll, zoom and browse media albums, and use productivity software efficiently, with just one or two fingers. The dot s comes equipped with the full version of Adobe® Photoshop® Elements, which lets you update your travel blog, create scrapbooks and photo albums, edit photos, and more. And, with its multi-in-1 card reader, this netbook is the ideal partner for your digital camera. 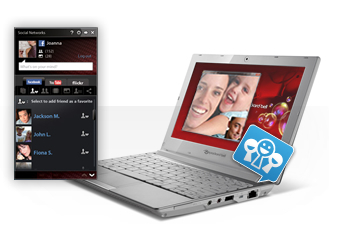 Packard Bell Social Networks software makes it quick and easy to check on your friends' status or update Facebook, YouTube™ and Flickr -- and it's all just one click away. Communication-wise, the dot s has a full array of tools for keeping you online and in touch: a 0.3 MP webcam, built-in microphone, Wi-Fi®, optional Bluetooth® 3.0+HS and optional 3G.